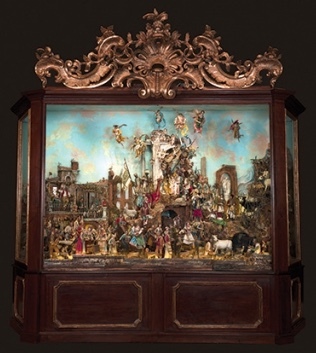 Please join the Princeton Club of Chicago and historian Sally Sexton Kalmbach S66 for a very special visit to the Thorne Rooms at the Art Institute - decorated for the holidays - and a rare opportunity to see the Neapolitan Crèche at the Art Institute! We will meet in the Thorne Rooms to hear the story of Mrs. Thorne and how she started designing rooms as a hobby, which eventually led to the creation of a legacy that people of all ages enjoy today. 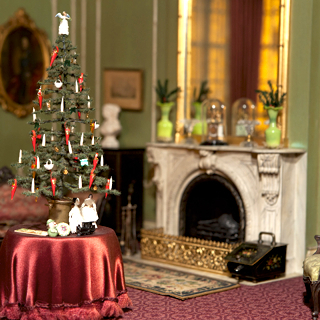 We will visit several rooms and Sally will discuss Mrs. Thorne's amazing life with pictures and stories from her most recently published book entitled Mrs. Thorne's World of Miniatures. Narcissa Niblack Thorne began collecting miniatures as a young girl. Her fascination grew and as an adult, she gained world-wide recognition for hundreds of miniature rooms created with such exacting detail that they became educational tools for students of architecture and interior design. The tour ends with a short visit and history of the beautiful 18th century Neapolitan Crèche acquired by The Art Institute from collector Vincenzo Porcini. One of the very few and finest examples of such a work outside of Naples, the crèche is an intricate Nativity scene that reflects the vitality and artisanship that the city is still known for. Due to the fragility of the original silk costumes and exquisite embroidery, the Neapolitan crèche can only be on view for a few weeks every year. Don’t miss your chance to revel in Baroque artistry this season! Please make sure to RSVP below ASAP as space is limited and select a Tour Ticket to reserve your spot! If you would like to join our private Princeton group with Sally after the tour, please make sure to also select the Discussion Ticket. Optional opportunity to continue the discussion over drinks and light bites with Sally Kalmbach S66 to follow at The Gage Restaurant (24 S Michigan Ave). Questions? 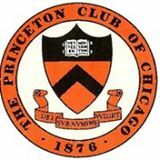 Please contact Co-VP Programs Charlene Huang Olson '88 at cholson@alumni.princeton.edu. Sally Sexton Kalmbach S66 is a fourth generation Chicagoan whose family founded a coffee and tea company in the early 1880s at the same time Potter Palmer was developing Chicago's Gold Coast. Sally has taught classes in Chicago history at the Newberry Library, and has given numerous speeches and customized tours for individuals and small groups. Her expertise and ability to present material in an accessible, yet informative manner have resulted in a loyal following. Her topics include: Chicago's Gold Coast; Revisiting the Columbian Exposition of 1893; Mrs. Potter Palmer's Gold Coast; Women and the White City; Mansions and Millionaires: The McCormickville Walking Tour, offered by the Driehaus Museum; and Mrs. James Ward Thorne's Miniature Rooms. Sally is a co-founder of the Chicago History Women's Club, a board member of the Chicago Chapter of the Society of Architectural Historians, a volunteer docent at the Charnley-Persky House Museum, and an active member of the Blue Dolphins Swim Club. Sally has written books about two legendary women from Chicago's history. Mrs. Potter Palmer - The Jewel of the Gold Coast: Mrs. Potter Palmer’s Chicago and Mrs. James Ward Thorne - Mrs. Thorne’s World of Miniatures.